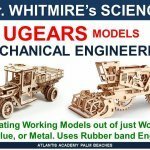 UGears is proud to announce a development of new line of mechanical models: The Horse-Mechanoid, the Archballista-Tower, the Tower Windmill, the Stagecoach, the V-Express Steam Train with Tender, the Secret model, the Roadster, the Aviator, the Bike, the Heavy Boy Long-Hauler with the Trailer, and the Flexi-Cubus. These models are expected to be available for purchase to our customers in the nearest future and you can help expedite the process! 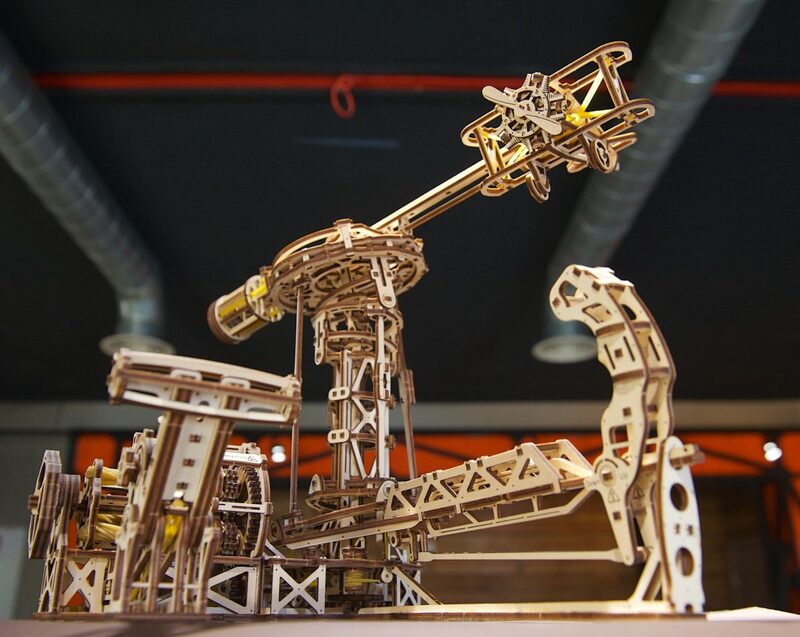 Support our project to receive an exclusive opportunity to be the first proud owner of our newest models and enjoy the assembly of these breathtaking real-life mechanical mechanisms! 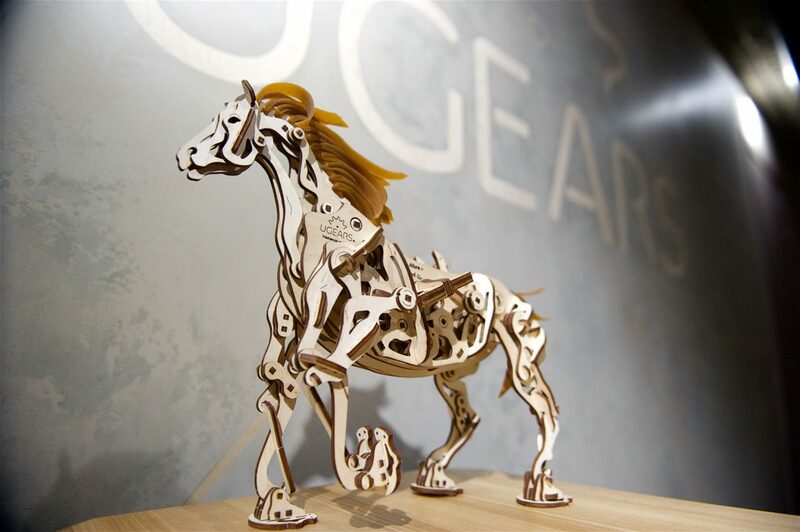 Take a look at Mechanical Horse. Despite its seemingly simple construction, the Horse produces real motion using its four legs. It may appear impossible, but the timing and the movement of the Horse is so precise, it allows it to overcome small obstacles in its path, just as gracefully as this majestic creature in real life. How do you like our Mechanical Mill? 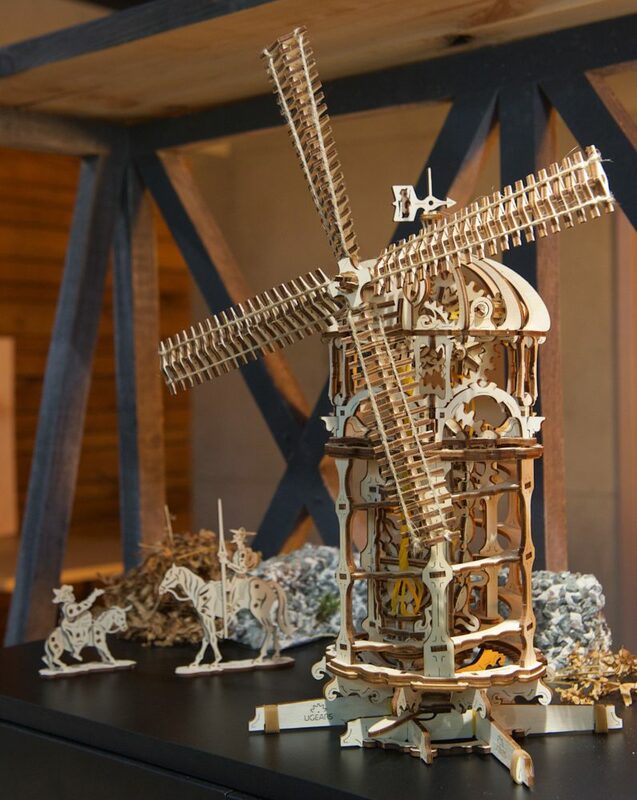 The rotation of mill’s blades and its spiroid structure are so realistic, you can almost feel the smell of freshly ground wheat and corn kernels in the air. But the most impressive model by far is a UGears Aviator. This unique model of airplane simulator not only launches small airplanes and helicopters, but also makes it possible to navigate them, set the flight route, regulate speed and control the course. 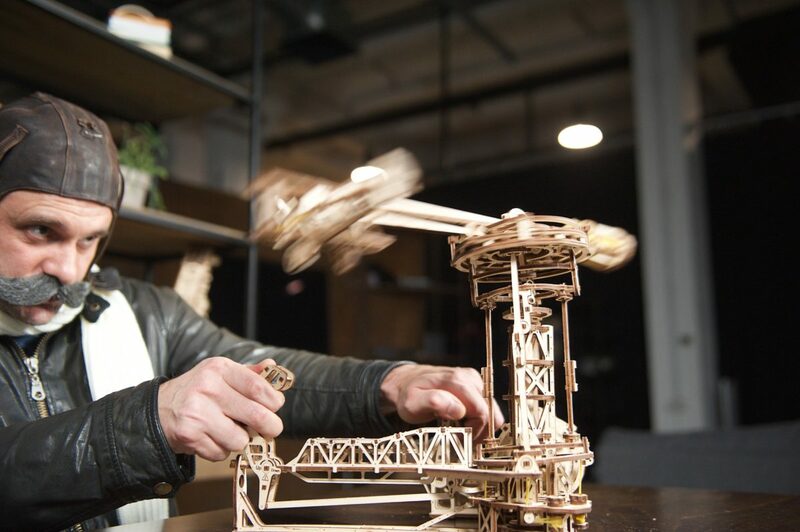 The Aviator is one of UGears most complex models that captivates minds with its self-producing motion. Another deserving your attention piece is UGears V-Express Steam Train with Tender, a model that can be appreciated by train and steam engine admirers of all ages. This model impresses by its speed and well-balanced work of shafts and levers. Along with V-Express Steam Train with Tender, UGears also developed the following models: Archballista-Tower, the Tower Windmill, the Secret model and the Roadster! With your support and recognition, these models could become available for purchase in a very near future. In the meantime, we offer you to check our catalog for models that can be ordered now. 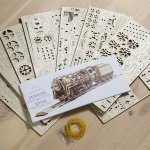 UGears Steam Locomotive is a Tillywig Award 2018 winner!